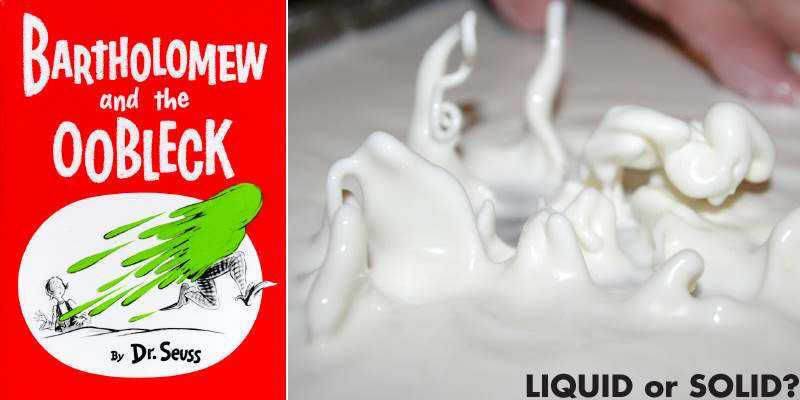 Non-Newtonian Glop, Oobleck, Cornstarch Quicksand, they're all the same strange substance that make us question: Is it a liquid or a solid?! You can smack it, walk on it, punch it, and try to roll it into a ball. Yet, it still drips off of your fingertips. Now, are you ready to make your own?! You can find instructions at Steve Spangler. Steve Spangler tested oobleck on a speaker and it danced! Above is a photo from Housing a Forest's experiment. They added color to their oobleck! Visit Housing a Forest and Steve Spangler for instructions!